Because it´s a tiny place we only offer selected delicacies. 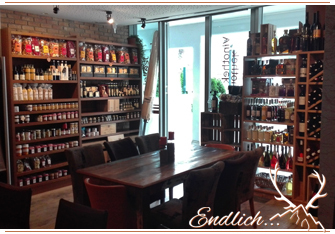 Our specialties are obtained from smaller family businesses in Austria and other countrys. Key element is wine from Italy and of course Spain, but specialley focused on Austrian Wines. We are proud of the fact that we have build a very personally relationship over the years with most vinyards. 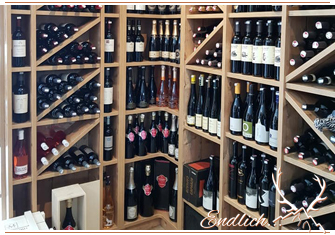 All we offer you in our store we personally found, tasted and titled it for good.